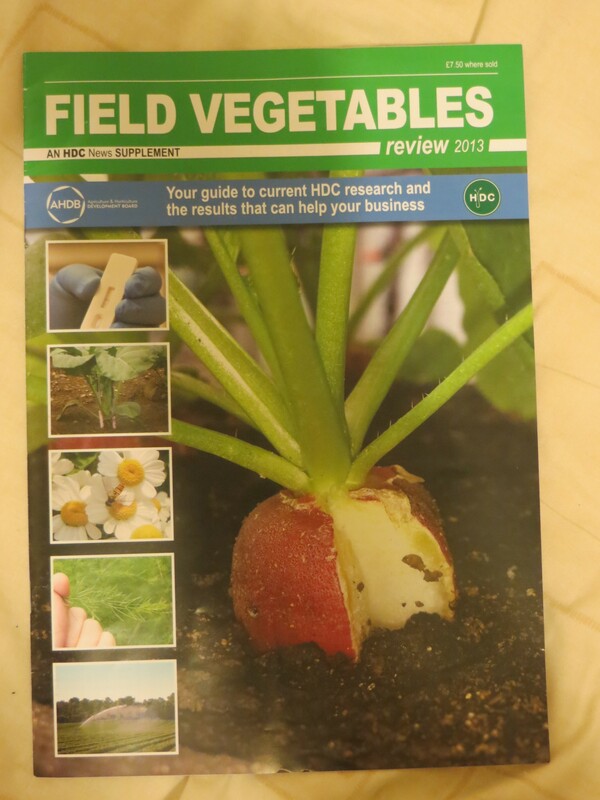 Field Vegetables Review – by me! 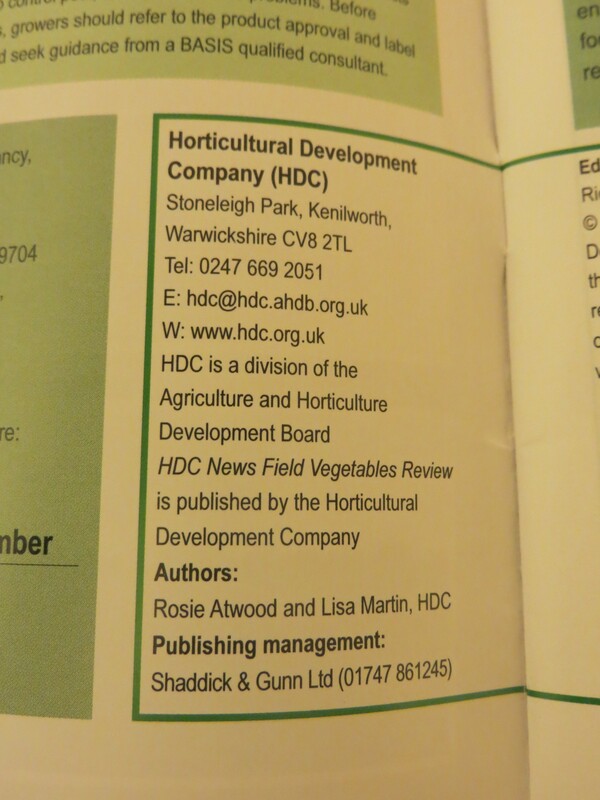 ‘Field Vegetables Review’ might not sound like the glitziest publication in the world, but if you’re a vegetable grower in the UK who pays a levy to the Horticultural Development Company (HDC), then it’s one of the most important magazines of the year. This annual mag provides an overview of all the research projects that HDC has funded in the last year. Not only that, but it reviews events, studentships and fellowships that HDC has supported, and gives a round up of successes in securing Extensions of Authorisation for Minor Uses (EAMU) – vital ‘off label’ approvals that allow growers to make best use of an ever dwindling range of pesticides, fungicides and herbicides. The magazine helps levy-payers to not only see how their levy is being spent, but it also helps to share best practice within the horticulture sector so that UK veg growers can stay up to date with the latest developments in growing methods, technologies and crop protection measures. So why am I am banging on about Field Veg Review? Because, my friends, the latest edition (pictured left) was mostly written by yours truly – I’m a published author! Look! There! My name in print! In a real magazine! Field Veg Review was my major project while I filled in for one of the Knowledge Transfer Managers who was seconded to Defra for three months. I can’t take credit for the whole publication; while it’s true that I wrote the majority of the magazine’s text, the rest was left in the capable hands of my returning colleague and the editor, while of course the researchers who completed the projects in the first place deserve much respect! Nevertheless, after having spent cumulative hours poring over project reports and writing succinct and informative summaries, project managing the pre-production process, liaising with authors for their review, collating suitable images and obtaining quotes from industry experts, it’s certainly very satisfying to see my name in print!